Updated January 20th 12:55 pm. Welcome back to the school week! Please note an Acronym list is provided for your convenience on the January 13 blog. News links are categorized according to their content after they are removed from the "Latest News" section. New links regularly added below. Toronto teacher protesters force Bay Street to grind to a halt so our message can be heard! Flags from ETFO, OSSTF and OECTA waved proudly in the stiff winter night air. The winter of our discontent? OECTA is back as our activists help lead the all affiliate charge. See my January 16 blog! Protester + reader Chris from Timmins made the trek to attend the MOE Bay St. Protest! This video takes you right out onto Bay Street with everyone. Wow! See: Bay St. Boogie! Here's a whole Facebook page of protest photos from the OLP leaders debates and more. Lots of excellent photo links too. Wow! See: Lotsa Pix! Stand Strong! Another collection of protest photos from this week: More pix! 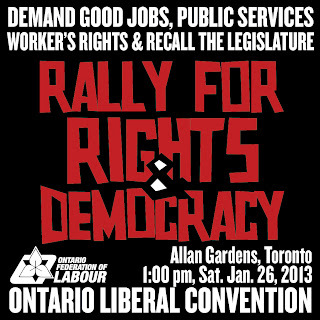 Don't forget the J26 OFL protest rally on the big day of the OLP leadership race!!! Plan now. See: Rally Now! My commentary: I know! How incredibly embarrassing!!! My understanding is that the OECTA legal team has asked that it be attached. It sounds like we are getting permission from mommy to go on a kindergarten trip for crying out loud. Is that how provincial views us??? [Wait! Don't answer that!!!] Will we have to hold hands getting on and off the bus? Can we walk on the street during the march or must we stay on the sidewalk? [Imagine what would've happened if they organized the Bay St shutdown last night?!?] Will there be a special announcement for everybody to watch out for us so we don't get hurt. [ "Attention"! Attention! If you see anybody from OECTA could you please ... " ] Does provincial really think we are that stupid?!? [Wait! Don't answer that either!] Sigh. Alas. And who will bring the milk and cookies?!? Enquiring minds need to know! Dissident OECTA Members! Worry not! Presidential candidate James Ryan and our Toronto OECTA TSU + TECT political activists, including others from across the province will also be there with everyone who isn't afraid of your own shadow! [see above]. Please bring your group too! Let's rock + roll at J26! Those darn ratifications: Local OECTA Unit members! You might want to check. How was your signed contract forwarded to the MOE? From the school board or OECTA provincial?!? I heard it through the grapevine that sometimes the school boards forwarded it to the MOE after it was ratified. They also attached the MOU as a matter of course. Ummm. Did you approve the MOU when you ratified your local contract? Think about it. Ouch!!! Andrea's acting + sounding like the premier. Will she win the seat this spring? Right now she says there is lots of important work to do. No time for cheap electioneering. Some good basic politics spelled out by NDP leader Andrea Horwath in a CBC interview. We are not in an election campaign now, there is work to do! Also she tried to warn McGuinty about where his treatment of teachers would lead. Claims none of this would've happened if she was in the premier's chair. Good stuff! See: Andrea goes for it! Wynne confirms tacticians swayed cabinet to turn on teachers for political gain during the by-elections. It ran against the Liberal brand and spun out of control. Can't get much more frank then that. She also explains why she didn't then drop out of cabinet. Wow! See: By elections? Did the McGuinty Liberals "buy off" our teachers over the last 9 years? Both the far right and the far left seem united on this one. Still, is that all that the good work done together to rebuild our education system into one of the best in the world adds up too?!? 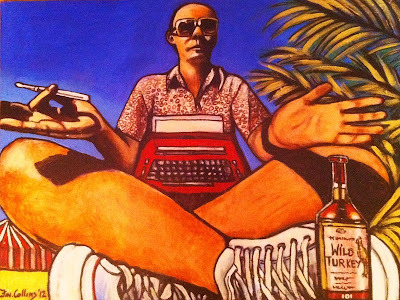 See the Huffington Post: Buy Out? The times they are a changin' + not 4 the better! Does this mean I'm famous now? Well I'm honoured 4 sure. Rabble.ca quotes rather extensively [Heh heh ... er ... 2 paragraphs] from my blog in a discourse on what's gone wrong/ will get worse in Ontario when it comes to provincial union contract negotiations. See: Rabble rousers unite! 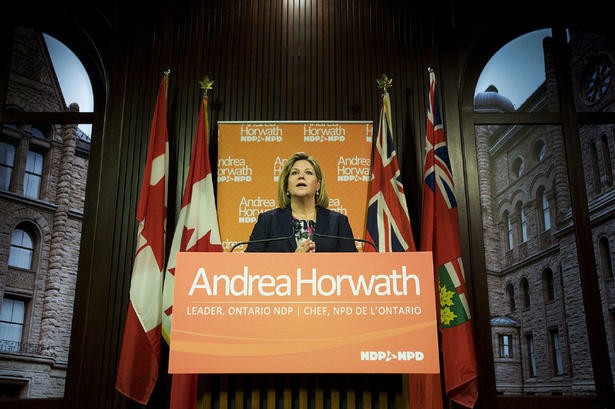 NDP's Andrea Horwath is willing to work with the Liberals rather than head straight into a spring election. She leaves the door open for a NDP-Liberal Coalition. Last time that happened in the late 1980's a lot of progressive legislation got passed. I also thought they tended to balance each others excessive tendencies and bring out the best in both parties. Course it didn't last long. See: Coalition? Now Wynne is not interested in a NDP Liberal coalition. I myself hope that's just OLP leadership race election talk. See: No coalition? NDP-Liberal coalition based upon a lot of hypotheticals but was used to shut out the PC's with success before: Coalition? Now Andrea claims a coalition is just one of many options she's considering. Sounds dissolute but I'm not so sure. A trial balloon? How will both parties feel if faced with a Tory minority government? Provides food for thought. See: Yes or no? Here's a link to Tim Hudak's "Pathways to Prosperity". Big on self proclaimed "Bold Ideas" short on details, it seems to be his idea of the new "Common Sense Revolution". We know where that all took us. Shudder. These are the white papers he keeps touting across the province about everything from "Right to Work" [for less] to you name it. It sometimes seems he could only be elected by default, but he's getting all his ducks lined up and stranger things have happened. A year from now, could this be the new blueprint for the Ontario government? Best to be aware of what he is up to. Check it out sometime: Tim's Evil Plan! 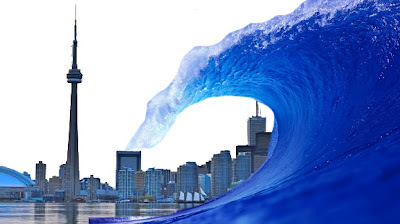 Could we be surfing a big Tory blue wave come a spring election? Tim's not taking any chances! The Blue Meanie gets bolder + bolder! Look! He's sneering at the poor people now! Attaboy Tim! 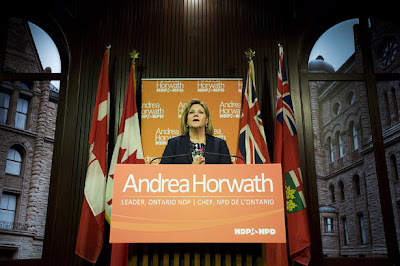 Andrea Horwath: An NDP + Liberal Coalition? 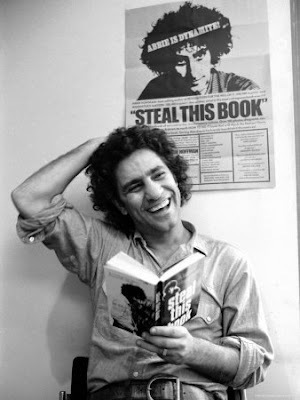 Yippie Abbie Hoffman with his best seller "Steal this Book"
I look forward to developing this protest theme more in a future blog. Here's an interesting read on Abbie Hoffman + the Yippie Guerrilla Theatre protest activities in the sixties for now. I'd disagree with the author's argument about the limits of the modern day media [ie. social media? for disseminating information + news.The internet?] Still see: Yippie! Elle's Fury = a woman's fury. I hear you, but what to do then? O.Canada.com's Nasty Mr. McNasty Rob Granatstein wants teachers to be forced to miss a PD day to make up for last Friday. Could somebody please tell him it was the MOE who called for a last minute OLRB hearing and the school boards who cancelled classes the night before. Duh. His skiing comment is particularly loathsome + odious. See: PD Days? 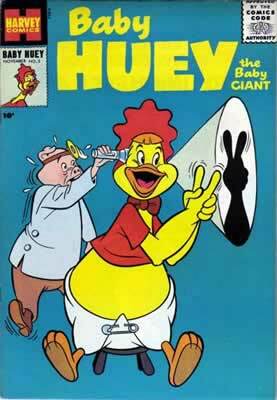 As Baby Huey says "Duh!" Should Hargrove buzz off or is he onto something? Use Comment button below. On CBC Metro Morning Buzz says that the teachers suffered most as a result of the OLRB decision and speaks out against the extracurricular boycott. He believes these are "major mistakes" from a strategic point of view. Hear the interview at: Major Mistake? What do Ontario and Egypt have in common? Think Bill 115. The devil is in the details. From a teacher in Ontario North West comes this interesting letter to the editor. See: Ontario + Egypt? True Canucks! Protests continue up Ottawa way even tho it's so cold your ipod or microphone can freeze! Imagine that! How to provide speeches and tuneage?!? -17 degrees celsuis! Hamilton Public Board expresses frustration over the Bill 115 labour situation: Contract process? OECTA TSU Executive has met to select the delegates for this Spring's OECTA AGM. The notices should be sent out in the mail asap. This year promises to be the most interesting one in a good many years! The excitement builds. We should arrange our own little caucus meet for those who read my blog. Dalton + Terry have always been a close item during their 9 years in Toronto. She misses Ottawa. Queen's Park scuttlebutt is that Terry McGuinty is counting down the days until January 26th. Dalton is making good on his promise he wouldn't stay on as Premier for more than 10 years. She has quit her teaching job in Toronto and is looking very forward to spending more time back at the family quarters in Ottawa. Final Scores going into the OLP leadership convention on Jan 25-26: OLP Delegate selection: Pupatello-504/ Wynne-463/ Kennedy-257/ Takhar-244/ Sousa 198/ Hoskins-104/ independents=67/ Total: 891. There are also an additional 419 ex-officio votes. Steve Paikins claims Pupatellos chances of winning a seat before she would recall the legislature are far from a given, even if the Dunc' gives up his. See: Safe Seats? The OLP numbers game: an interesting analysis: OLP delegates? The Toronto Star's Bob Hepburn handicaps the OLP candidates: Pupatello 6-5/ Wynne 3-1/ Kennedy 25-1 etc. Considers where the candidates delegates will go as the balloting continues. Some surprises? See: Odds? 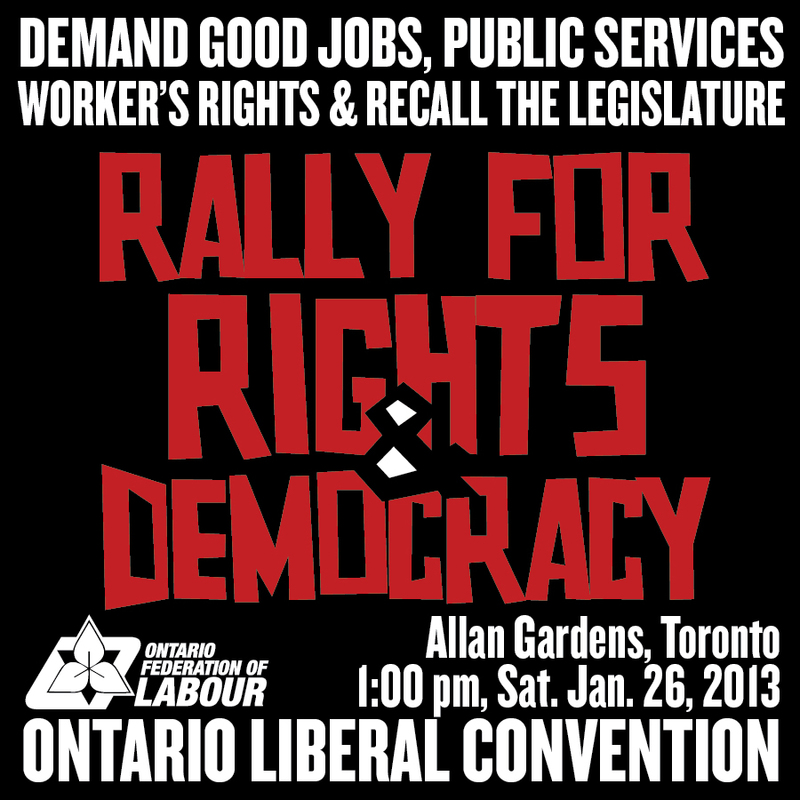 Jan 26: Ontario's 1st woman premier? Win with Wynne? Or will it be the pooper? Is the OLP dividing into two camps during the leadership race? How it seems to be shaping up and why. See: OLP Camps? Ontario's corporate bad boys haven't been paying their taxes. Guess where the money will come from now? Pupatello + Wynne's political dance with Hudak + Horwath. Wheee! It's a political party! The next Premier: a footnote in Ontario history? 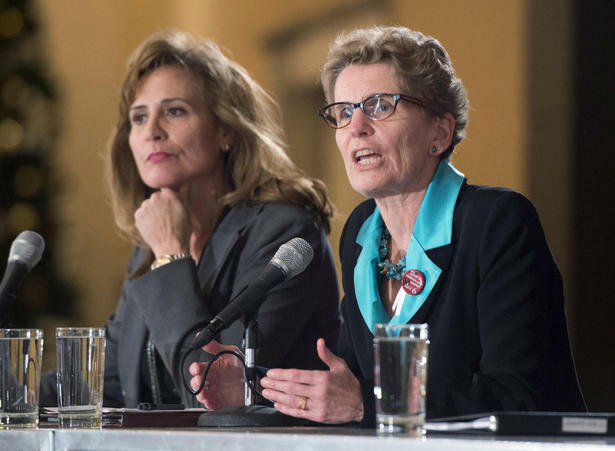 This article assesses Wynne and Pupatello's chances of survival: footnote? 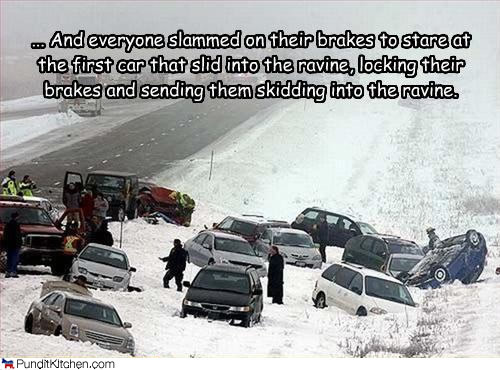 Winter in Canada: Slow down + drive carefully! Donna Quan appointed acting TDSB Director to replace Spence after plagiarism scandal: TDSB Director? Catholic schools in Hamilton still apparently not offering GSA's as per the Ministry requirements: GSA's? Canada is not the USA. Duh. Why Ontario's "locked door" policy won't work. Is it just a knee jerk reaction to school shootings in the US? See: Newton North? The numbers game? The air pollution index in Beijing China today hit 888 as measured at the US consulate. The Chinese claim it's only 700. The danger line is 25. It was 2 in Toronto. Tomorrow it's expected to hit 3. Janet's niece was teaching inside China a year or two ago. Because of the pollution, she had to wear a cloth mask over face each day to go to and from school. When she got home at night she'd have to throw it out because it was pitch black. When it's really bad, no recess, or everybody gets a smog day off to stay home. Hack! Hack! Kaff! Kaff! Hudak: Mr. Steam Whistle is planning to blow some factory air our way! 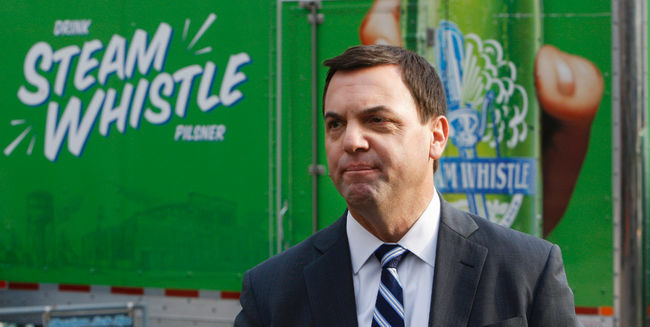 PC opposition leader Tim Hudak wants to return manufacturing to Ontario. In a typical angry snit, he also plans to eliminate the College of Trades which is only an " ... excuse to tax businesses through membership fees." Back we go to the industrial revolution Charles Dickinson style?!? Egads! See: Factory Daze? Eat the Rich: An Animated Fairy Tale from the CFT [California Federation of Teachers] Ha ha ha. To my American readers: Is the House of Unmerican Activities Committee still around? Does they know about this?!? Luckily for safety reasons there is an inadvertent message against unions in here too. ;-) See: Eat the Rich? Hard times for rich folk? Peterborough student sexually assaults and tries to choke teacher after class. Charges laid. This is a case for a Bill 168 teacher safety work hazard complaint too. Also a WSIB 6 should be filled out. Know your rights. This is getting to be real b.s. See: Teacher safety? 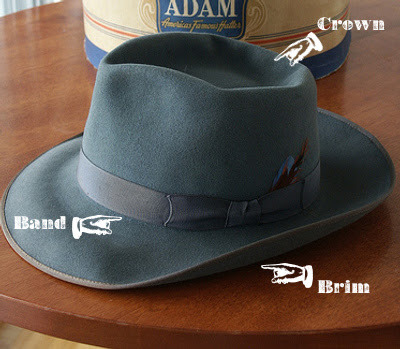 Bring back the hat: Hats! See my Haberdashery Videobar below this blog column post. Be aware! Alberta Canada Ministery of Education is also considering merit pay. See: No merit! 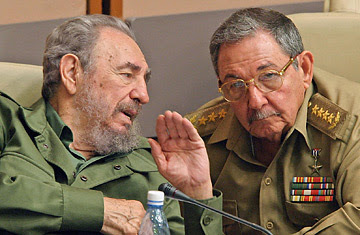 The Castro Bros: Fidel explains to Raul how it is done! PET, our "Northern Magus" visits Cuba: Ah c'mon Fidel I know what you just did! Hunter S Thompson: Fear + Loathing + the new journalism? Umm. I'll have a coffee + some good tunes please! The reason people arn't mad at CUPE is because everybody feels like they have to "pick up" for school support workers. OECTA teachers on the other hand are expected to "know better" and are rightly held to account. OECTA and AEFO were the first to roll over and play jailhouse sissy to Dalton's prison crew. Largely in part due to the symbiotic relationship between OECTA Liberal PE and the Liberal Government. Look for O'Dwyer to pick up an appointment from this disgraceful government. I don't know how this guy is going to show his face as past president when he comes around AGM for his free supper. The government threw a fair deal at CUPE so they could focus their fight against OSSTF and ETFO. You can't blame CUPE for signing and ratifying. This was NOT the case with OECTA provincial who DID NOT ratify and and acted out of self-serving incompetence. OECTA is the reason we are in the position we are today. Do you think the pollution rose to those limits because Dalton is there leading a delegation? His smoke screen is off the charts!!! Hello! I just created a new Facebook Page in a minor attempt to promote positivity about teaching in Ontario. It's called...Thank an Ontario Teacher Movement. Basically, a page for anyone to thank a special teacher from their past in elementary school or high school that they feel had a positive impact on them. Please visit it and let me know what you think. It's for all teachers from all unions and the public. 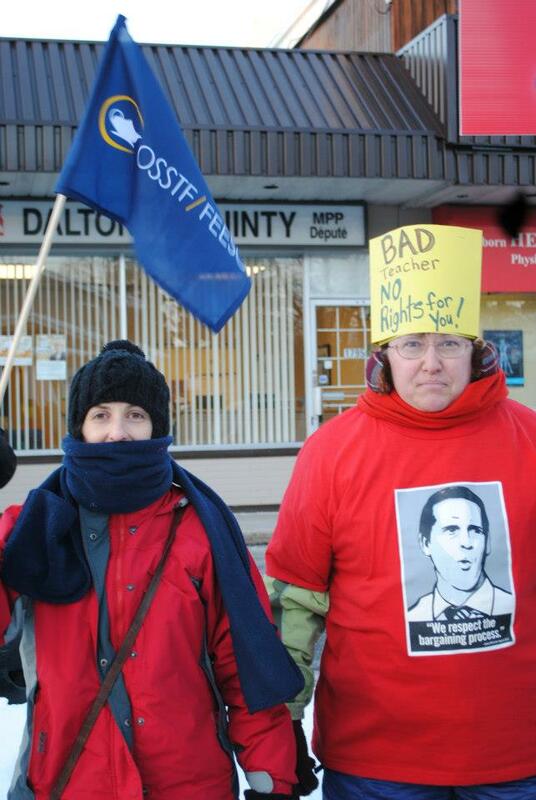 I believe Kevin O'Dwyer OECTA President was also in attendance at yesterday's protest. Well done. He has been a true leader during these difficult times. History will show that OECTA mitigated the worst of the government's parameters. If not OECTA and the other affiliates would be forced to accept an inferior agreement as legislated by the government. Show the Liberals our disdain at the next election but show it in a strategic way that puts the NDP into power and not the Tories. We will forget the Liberals in a hurry once the Hudak-Harris Conservatives start their cuts. If Kevin was there he wasn't with the OECTA group nor did he get up to speak with the other affiliate leaders. James Ryan was with us all night as were the local OECTA affiliate presidents, so I'm pretty sure he was a no show. I'm not trying to discredit your argument by saying so, but I find that aspect highly unlikely. Hi David. Thanks for posting the picture of us standing up for teacher rights and democracy at the rally last night. It was great to meet you and to be a part of the energy that was present. As a former OECTA member it makes me proud to see that some in OECTA have the strength to lead by example and live the message that was taught to me when I attended leadership training and political action events in my short career as a Catholic teacher. I find your blog informative and see a real value in the work you do in holding your provincial executive to account. As in any democratic institution it is the duty of those with ability to watch those in power and report on their activities to keep the membership informed. The labour movement needs more people like you to hold it true to its principles and your voice is an inspiration. Keep up the good work! The Toronto Start article on the protest quotes Kevin and states that he was there. Is this erroneous? If Kevin was there he certainly kept a low profile. Probably didn't want to attract too much attention and get Laurel mad at him. Gotta think of the future and a possible appointment to something. Maybe assistant deputy minister of education. Ahh yes that has a nice ring to it. History will show that O'Dwyer's capitulation paved the way for increased bullying by the Liberals in negotiating the rest of the crap deals with the other unions. He laid down big time for his corporate master and sold out labour. You are right. It does say that. However, like I said, he wasn't with our OECTA group, didn't speak publicaly, nor did we see him with Sam Hammond. 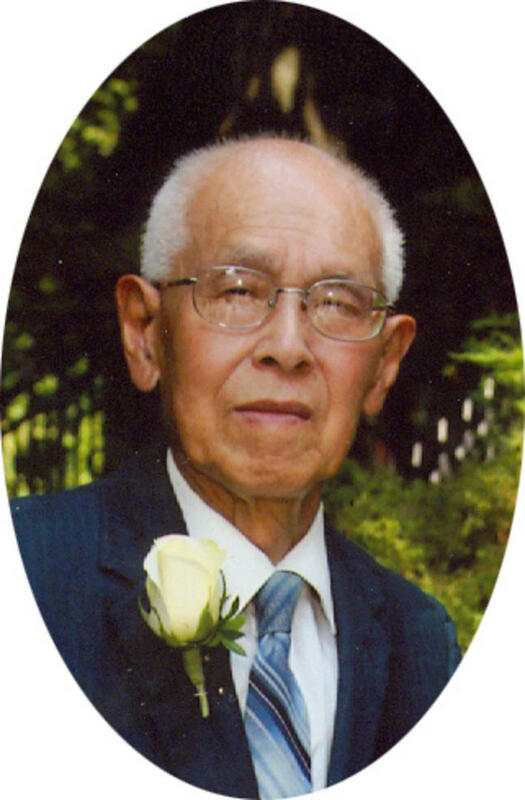 Would've expected he would and would have liked to have see him there too. I will ask around some more to confirm what happened. Thanks! Hi Chris! The pleasure was all mine. It's so great you could make it all the way from Timmins for the Bay Street Protest! Northern Ontario Rocks!!! I call total b.s on O'Dwyer being at the rally. Any good politician in attendance would work the crowd, shake hands, talk to people.... you know like be..... visible! He would have gone to the mic, addressed his members and maybe even spoken with the media who most surely would have recognized him. If he did go it is embarrassing for OECTA that he wasn't seen! Oh wait I did see a guy there in a chicken suit handing out flyers to Popeye's. Could that have been our president? "I believe Kevin O'Dwyer OECTA President was also in attendance at yesterday's protest. Well done. He has been a true leader during these difficult times. 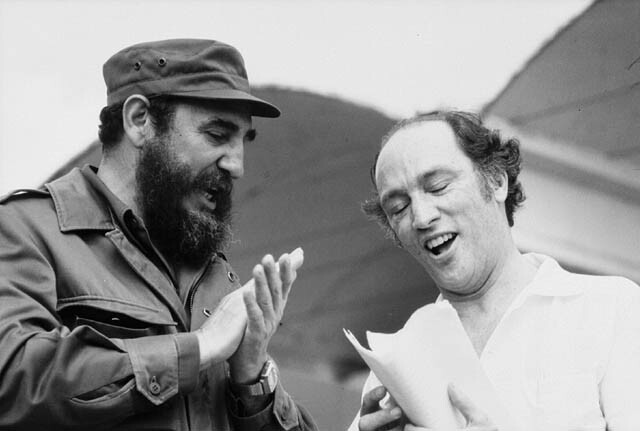 History will show that OECTA mitigated the worst of the government's parameters." LOL! David. Probably! Love your sense of humour. I hope all OECTA members are supporting James and he becomes your new president. After all that OECTA has been through, you deserve more than an idiot like O'Dwyer. If james visits your blog, I wish him the best of luck!